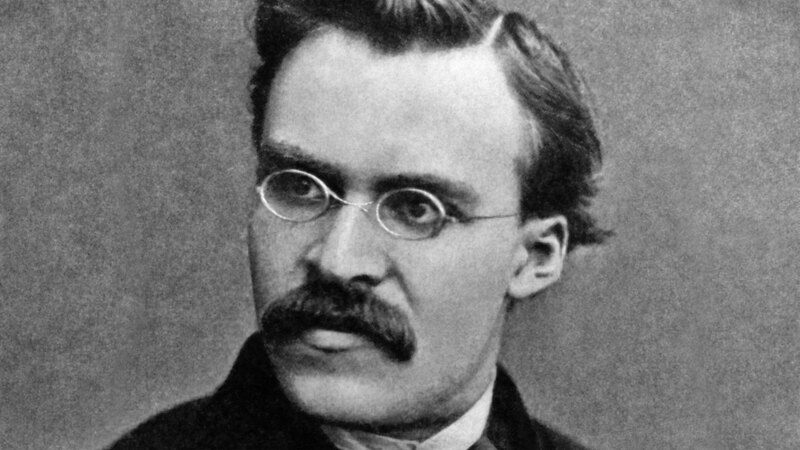 No one could have known the impact Friedrich Nietzsche would have on society simply by looking back at his early life. Born in a rural area southwest of Leipzig, Germany, in 1844, his childhood was strongly religious: his father and both grandfathers were Lutheran ministers. When Nietzsche was four years old his father died of a brain ailment, and the family moved to nearby Naumburg an der Saale. In 1864 he enrolled at the University of Bonn, where he studied theology and philology—the interpretation of classical and biblical texts. The following year he enrolled at the University of Leipzig. Attending lectures by fellow philologists familiarized him with the work of Arthur Schopenhauer, whose atheistic viewpoints seem to most scholars to have inspired Nietzsche’s trek away from his religious roots. At age 24, Nietzsche accepted a position on the faculty of the University of Basel, Switzerland, teaching philology. During the next years he developed a close friendship with composer Richard Wagner. Wagner’s musical inspiration along with Nietzsche’s studies of philology and his frustration with the German culture led to Nietzsche’s first book, The Birth of Tragedy. Even though great praise from Wagner helped the book become popular, the academic community was less enthusiastic toward its author. Over the next few years, Nietzsche wrote a series of four studies on German culture, entitled Thoughts Out of Season. Even though he was flattering in his appraisal of Wagner’s musical influence in his last short study, his friendship with the composer was shattered when he attacked the influence of Wagner’s music on contemporary German culture in Human, All Too Human. He renounced Schopenhauerian and Wagnerian ideals, which glorified asceticism and suffering, and declared that the tendency of others to idealize life through art was equally flawed. Nietzsche argued instead that good and evil were not opposites but extremes of one motivating force, which he later articulated as the will to power; that is, the innate drive in everyone to dominate. The will, Nietzsche contended, is actually motivated by the drive to survive and find pleasure, and he believed that closer analysis would eventually verify his theory. By 1879, as Nietzsche’s health began to decline, he was unable to continue in his position at Basel. His doctor recommended a climate change, so he traveled to various parts of Europe. While in Venice, Nietzsche began writing his first real criticisms of Christianity. He reasoned that Christian values were simply a way to make the individual conform to something that was less than desirable and furthermore would corrupt the character. He called for humanity to overcome conventional morality, which he related to superstition. The Gay Science is where Nietzsche first proclaimed the death of God. Without God, society could enjoy true freedom as determined by one’s will to power. “Do we not hear the noise of the grave-diggers who are burying God?” he wrote. “Do we not smell the divine putrefaction?—for even Gods putrefy! God is dead! God remains dead! And we have killed him! How shall we console ourselves, the most murderous of all murderers? . . . Is not the magnitude of this deed too great for us? Shall we not ourselves have to become Gods, merely to seem worthy of it?” Accordingly, he came to believe that by overcoming his need to conform to religious ideals, he could rise to the greatness within him. Although he was at complete odds with Christianity, Nietzsche seems to have had a degree of respect for Jesus, the man. In The Antichrist, he stated that “there was only one Christian, and he died on the cross.” He went on to describe Christ as someone who had showed mankind how to live. But while he appeared to acknowledge some value in the example of Christ as a human being, Nietzsche pointed to what he considered flaws in conventional religion—that while Christ taught a certain way to live, religion promoted dogma and blind faith. He remarked that “people always talk of their ‘faith’ and act according to their instincts.” In the end, this former theology student couldn’t reconcile that kind of disparity. In 1883 he wrote Thus Spoke Zarathustra, which is considered by some to be his greatest work. In it, he expanded the theory of the will to power and argued that fear is what enslaves people to conformity and keeps them from conquering their weaknesses, both social and moral. In Beyond Good and Evil, Nietzsche articulated his disdain for conventional morality. Once again he described Christian standards as a “slave morality”—a way to diminish the human spirit and ruin the character of the individual. The influence of Nietzsche on 20th- and 21st-century thought is beyond question. Countless artists, writers, sociologists and philosophers have been moved by his writings. In part through them, religion has been relegated to a backseat and humanistic ideals have taken over. The result is that egoism and atheism have found a certain respectability. For the last 12 years of his life, Nietzsche was insane. Whether he suffered from the brain disease that had killed his father, or adverse effects of a drug he was taking for an ongoing illness, or, as some suspect, syphilis, Nietzsche’s final years did not demonstrate a mind at peace. On August 25, 1900, as he approached his 56th birthday, Nietzsche died in his sister’s villa, apparently of pneumonia in combination with a stroke. Perhaps the ultimate irony for the man who had devoted much of his adult life to attacking Christianity was that his sister arranged a Christian funeral for him, followed by burial in the family gravesite beside his hometown church.